The rap star, the president and Jared Kushner will discuss manufacturing, prison reform and how to prevent gang violence, the White House announced. 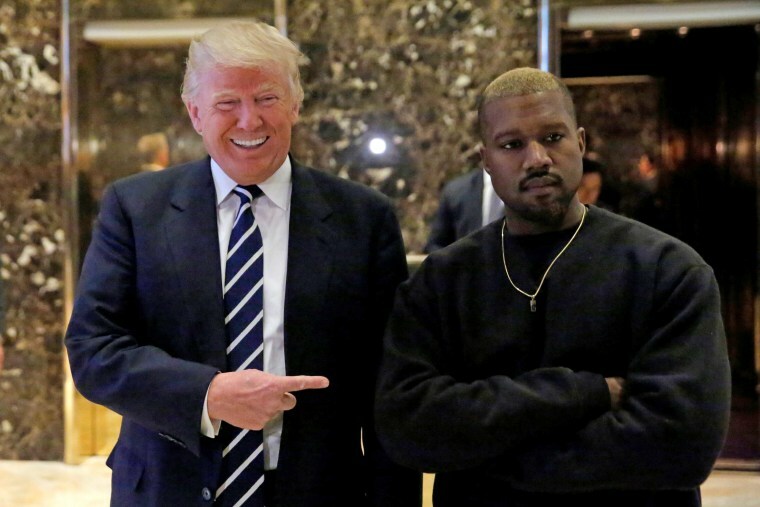 Rapper Kanye West will have lunch on Thursday with President Donald Trump and Jared Kushner at the White House, the administration announced Tuesday. In a statement, White House press secretary Sarah Sanders said West, Trump and Kushner, the president's son-in-law and senior adviser, will discuss topics including "manufacturing resurgence in America, prison reform, how to prevent gang violence, and what can be done to reduce violence in Chicago." West was raised in Chicago. News of West's planned visit was first reported by The New York Times. Last month, West sported a "Make America Great Again" hat as he delivered an off-air politically themed rant to an uncomfortable audience after the taping of the Sept. 29 season premiere of "SNL." During the speech, West defended Trump and claimed to be his "real" self, boasting that he had not taken what many presumed to be his psychiatric medication. Kardashian West has since given the White House reports on several other nonviolent criminal offenders for possible commutation.